I added Stripe subscription to Flow Studio today. I also became my first customer (as I’m testing the integration). How much is a Flow Studio Subscription? US$10 / month, or US$100 / year. Currently (2018-10-19) the premium features are not blocked by non-subscription status. Everyone is defaulted to Trial status. In about a month’s time (2018-11-19) a timer job will expire Trial status into Free status, then users will not be able to access subscription features. Is there a free tier? Yes! Listing, sorting, metadata grouping, see and filter by runs, triggers and failed runs will all remain in the free tier. It is our opinion that these features are essential to a pro Flow maker. 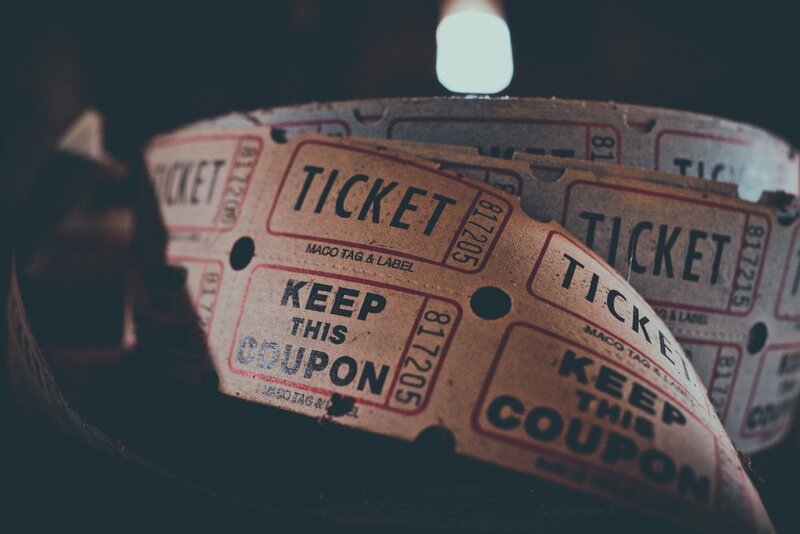 What features need a subscription? 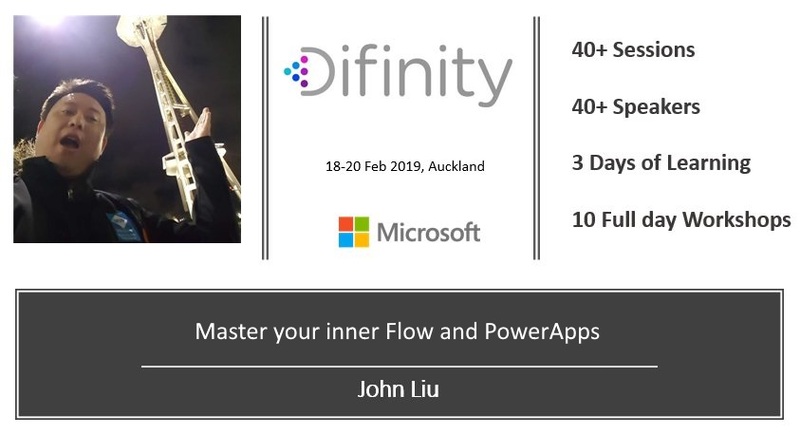 Getting Flows as Flow Admin - this requires both Flow Studio subscription and Microsoft Flow Premium 2 - but let you observe all the Flow runs across a tenant / environment. Edit JSON - this is an advanced feature that is used by Power Users. There will be additional features as we now focus on making features that will make you love Flow Studio. What is the coffee donation? 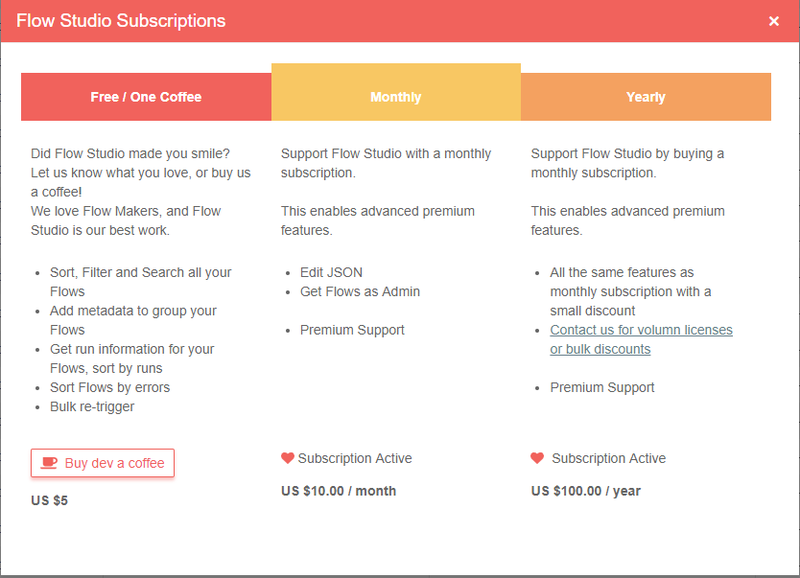 It is a way to let us know that Flow Studio made you smile, but you don’t want a subscription for any reason. It doesn’t grant subscription status. How did you implement the subscription? Give us the technical blog post! Flow Studio is an Angular 6 application compiled with AOT and deployed on Azure Functions. It uses a mixture of LogicApps and Microsoft Flow as serverless middleware. These are proxied behind Azure Functions Proxies. Timer jobs and triggers coordinate communication between Flow Studio and Stripe payment processor. This is a blog post on this in the future. This is an evolving document. Feel free to keep asking us more questions and we’ll provide answers!